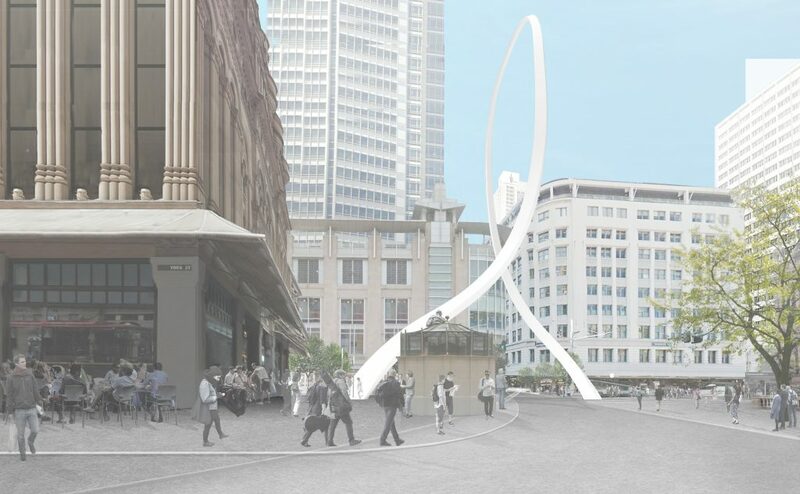 Sydney's controversial archway installation, proposed to straddle George Street, looks set to be withdrawn with the city's plagued light rail project to blame. The 58-metre tall steel archway, designed by Junya Ishigami, was projected to cost $3.5 million, yet delays to work caused by the city's light rail construction has now blown the installation out to $22 million. Acciona, the Spanish construction company responsible for the $2.1 billion light rail project, has been embroiled in delays, costs blowouts including legal battles between the government, local businesses and subcontractors. The company's operations in Sydney's CBD now seem to have had a knock on effect, causing multiple design changes to the Cloud Arch, delaying its installation and doubling its price. City of Sydney councillors will now convene to cancel the artwork after Spanish light rail builder repeatedly "denied access" to install the arch's footings. 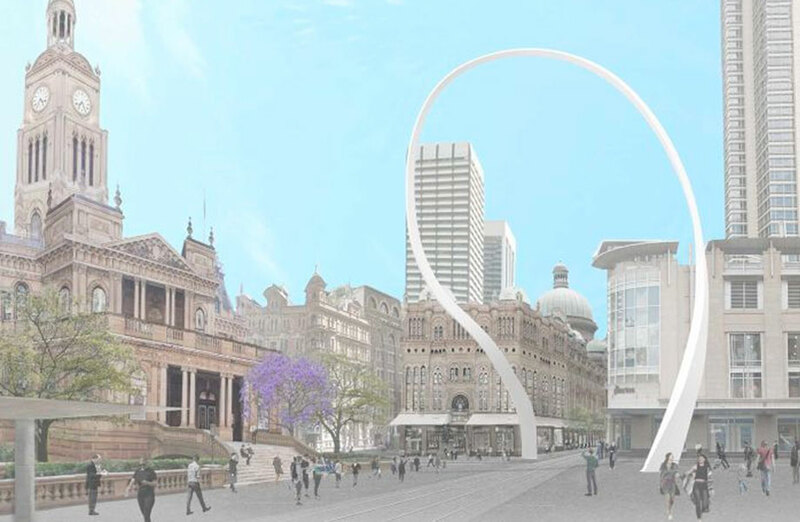 Sydney's Cloud Arch will likely receive the chop due to cost blowouts and delays caused by the light rail. A report set to be presented to councillors has recommended "council cancel the proposal for the contract in relation to the tender for the fabrication and installation of Cloud Arch" until the light rail is completed. Despite an agreement between council and Transport for NSW to erect the artwork, Acciona had not agreed to provide access to install the footings, with the company blocking all solutions. The main reason for the companies apprehension surrounds the “difficulty” of installing footings. Lord Mayor Clover Moore, who only last year described the cloud arch design as the “most significant artwork built in Australia in decades”, has now resigned to the fact that the sculpture in all likelihood will not move forward. “Sadly, the ongoing delays to the Light Rail project have impacted on Cloud Arch,” Sydney lord mayor Clover Moore said on Twitter.